Heaven Shall Burn fans know and appreciate the massive doublebass grounding that Christian Bass gives to the music of this band. 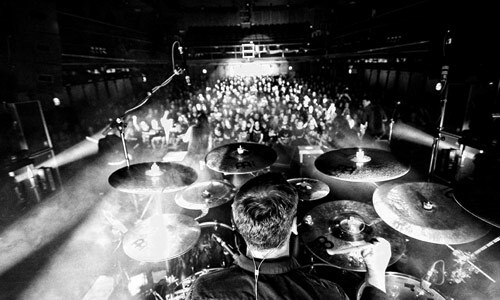 Since 2013, he has been a member of the german melodic death giants after standing in several times as a substitute drummer starting in 2006. Born in 1977 in Dinslaken, he taught himself to play drums after discovering his love for the instrument in 1992. Luckily, his older brother already had a drum-kit set up in the basement. At the age of 15, he played his first live show. By the time he turned 18, Christian signed a deal with the German label Nuclear Blast resulting in several album releases with his band Night In Gales. But, one group wasn‘t enough for the gifted musician. He then became a member of Negativ Null, Deadsoil, Der Weg Einer Freiheit (until 2011), White Eyes, and Bloodred Bacteria as well. 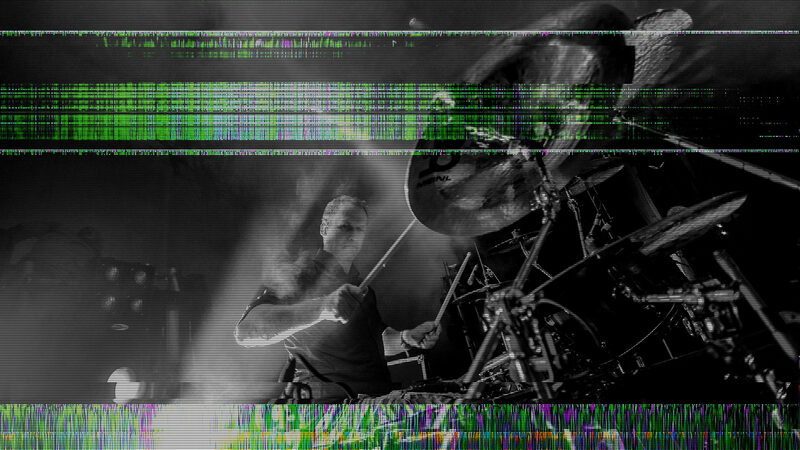 Several other outfits choose his skills when they needed a session drummer for live-shows or recordings. Among those bands were: Implore, Dew-Scented, All But One, Deadlock and Born From Pain. Until now, Christian has played around 500 gigs and worked in the studio for a diverse array of groups and projects. In 2014, the trained graphic designer and vocational teacher moved to Berlin to take up employement at a vocational school to give lessons in media technics and german language. 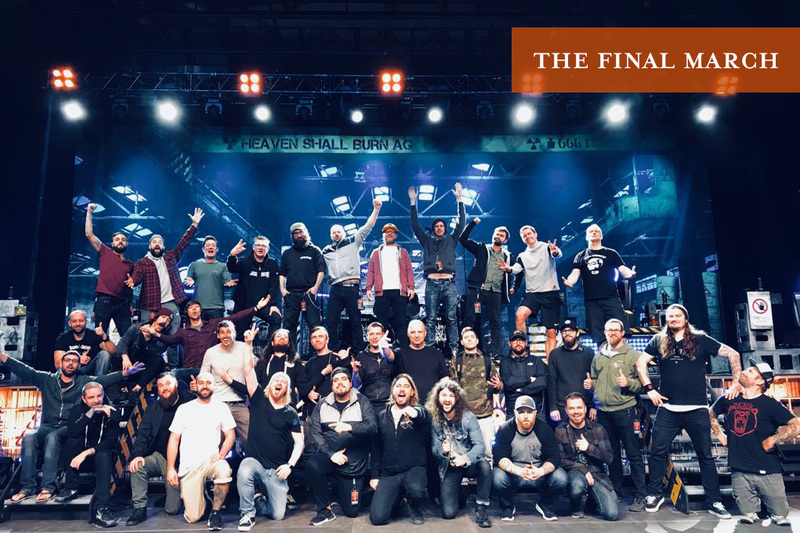 He developed a personal time management system to fit his day job together with the weekly Heaven Shall Burn rehearsal in Saalfeld hundreds of miles away. 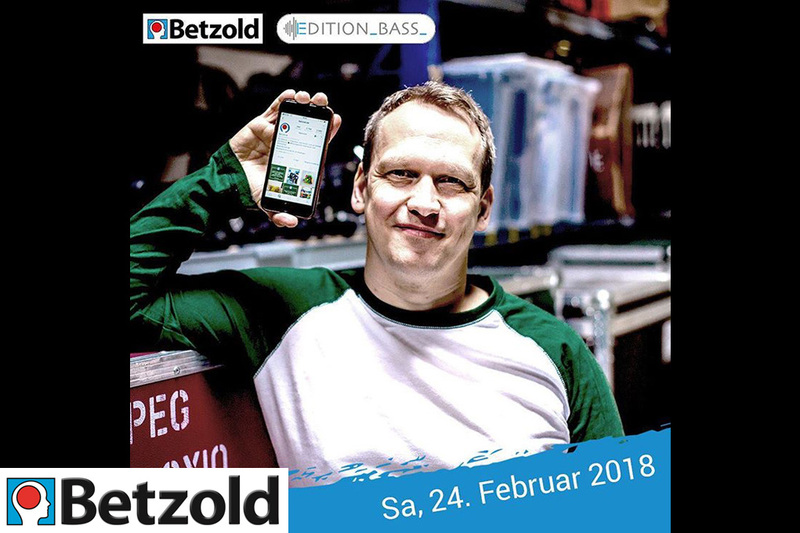 Christian shares his experience of clever balancing music career, work, and family in the „_Edition_Bass“ of the teachers weblog „Betzold“. And there is much more energy: In 2016, the music lover and collector founded his Label „Affront Vinyl“ to release mini vinyl editions of selected metalbands he knows personally and likes. 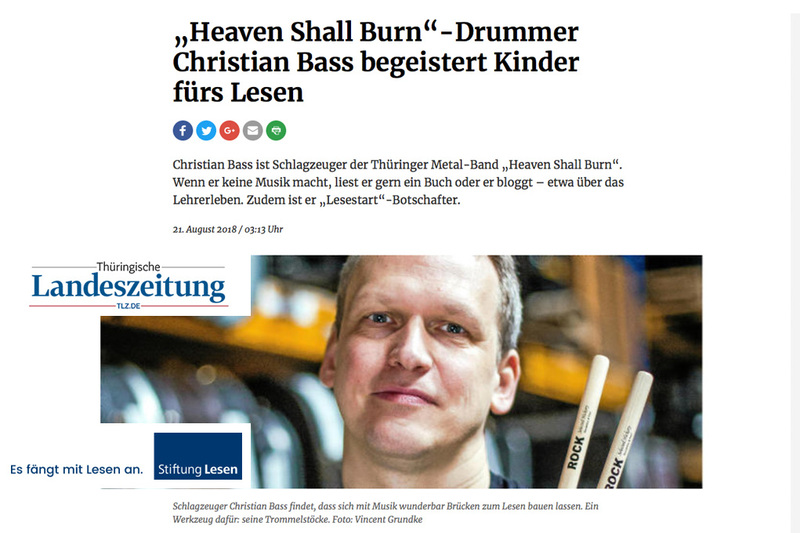 Christian Bass is always interested in new music, projects, studiowork etc.